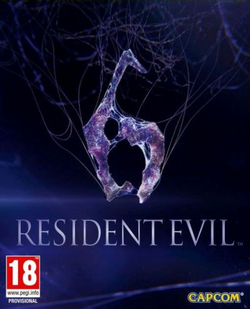 Resident Evil 6, known as Biohazard 6 (バイオハザード6, Baiohazādo Shikkusu?) in Japan, is a third-person shooter action-adventure video game in the Resident Evil series, developed and published by Capcom. Capcom defines the game's genre as "dramatic horror", however there is disagreement among reviewers whether this installment belongs in the survival horror genre. It was released for the PlayStation 3 and Xbox 360 on October 2, 2012. The story is told from the perspectives of Chris Redfield, a former member and founder of the BSAA traumatized by a failed operation, Leon S. Kennedy, a Raccoon City survivor and agent for the U.S. government, Jake Muller, illegitimate son of Albert Wesker and associate of Sherry Birkin, and Ada Wong, a freelance agent framed for the bio-terrorist attacks by Neo-Umbrella. They must all confront the force behind a massive bio-terrorist attack with the newly developed C-virus in cities across the world. Concept development began as far back as 2009, with full development beginning the following year under Hiroyuki Kobayashi, who produced Resident Evil 4, and eventually grew to have the largest staff so far to work on a Resident Evil game.